So, you’re thinking about buying a home aquarium? Aquariums make peacefully beautiful additions to most homes and provide hours of enjoyment. But if your aquarist journey has only just begun, there are many things you should consider before taking the final plunge. First and foremost, bear in mind that owning an aquarium is a hobby like any other. It requires time, money, and dedication to really get the most out of it. 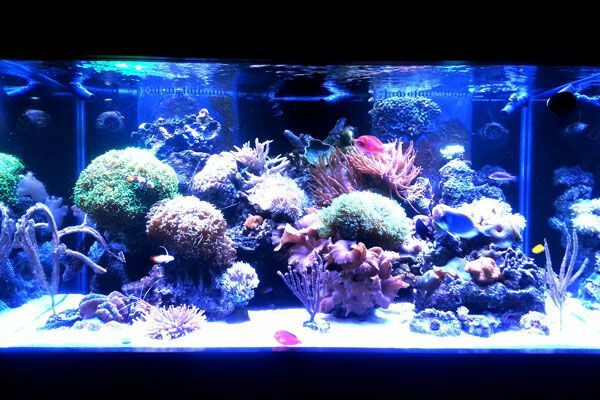 With that in mind, here are a few questions you should answer before buying a home aquarium. 1. How much does owning an aquarium cost? This could arguably be the most important question you ask yourself. Aquariums are long-term investments. Not only can the start-up costs be significant, but you must also budget for their consistent maintenance. It’s easy to get overwhelmed if you’re not careful. So, it’s important to do plenty of research before buying your home aquarium essentials. You wouldn’t want to get stuck with equipment you can’t afford to maintain. Doing so might lead to the neglect of your tank, and your fishes’ health might suffer for it. Budget appropriately for your home aquarium. 2. What kind of fish should I have? This goes beyond saltwater vs. freshwater. Once you’ve decided on a tank, it’s time to plan for the types of fish you’ll fill it with. Remember, your home aquarium is a delicate ecosystem and not all fish will mesh well together. For instance, there are some fish that cannot stand cohabitating with others of their own species. On the other hand, schooling fish by nature will be more comfortable with larger groups. For a harmonious aquarium, research the species you want so you can find suitable tankmates for them. 3. How big should my aquarium be? Well, that depends. If you’ve already answered the first two questions, then you’re probably starting to get an idea of just how big your home aquarium needs to be. With that said, there are some other factors to take into consideration as well. Generally, it’s a good idea to err on the side of larger than what you think you’ll need. This gives you flexibility for your tank community to grow over time. Larger aquariums also have the benefit of containing more water to dilute toxins that might harm your fish. 4. Where should I put my aquarium? In tandem with your budget and species of fish, you should also consider where your aquarium will be placed in your home. Choose a spot that’s level and sturdy with minimal risk of your tank being bumped into or knocked over. Equally important is that your tank is kept away from windows, vents, or anything else that might cause drastic changes in water temperature. Some fish are very sensitive to light and only thrive under certain spectrums and intensities. Too much sun exposure from windows might put your fish at risk. Because of this, make sure you avoid direct sunlight. 5. What temperature should I keep my tank? All fish have fairly specific temperature requirements. Most fish can thrive in water heated to 75-80 degrees. But it’s important to research the needs of your species. If you have only one type of fish, then you can easily cater to their needs. If, however, you want a more diverse collection, then a safe temperature range is 76-77 degrees. Above all, make sure the temperature stays constant. If the temperature fluctuates too much, it can easily stress your fish and lead to illness. Make sure your home aquarium's temperature stays constant. 6. What kind of filtration system should I use? Canister filters have grown in popularity in recent time. They work by drawing water up through a lift tube to an external chamber (canister). It’s in this chamber that the water passes through a sequence of filtration media before flowing back into the tank. They are more difficult to maintain and more expensive than other filters, but they are incredibly efficient systems. These are usually the filters that come with your aquarium if you purchase a kit. They typically hang at the back of your tank and they are usually the simplest (and cheapest) filters to use. Water is pumped through a cartridge to remove impurities before returning to the tank via a spill-way. While power filters might be cheap and easy to use, they, unfortunately, can be inefficient. Because the water hits air during the filtration process, evaporation is quicker than with canister filters. So, tank water will have to be filled more regularly. Additionally, because the intake is usually directly under the spill-way, much of water drawn into the filter is actually clean water just returned to the tank. To put simply, while canister filters might be more expensive and challenging, they are far superior. On the other hand, power filters are easy to use, making them perfect for new aquarists. So, it might be a good idea to start with a power filter and graduate to a canister filter as you get more comfortable with your aquarium. 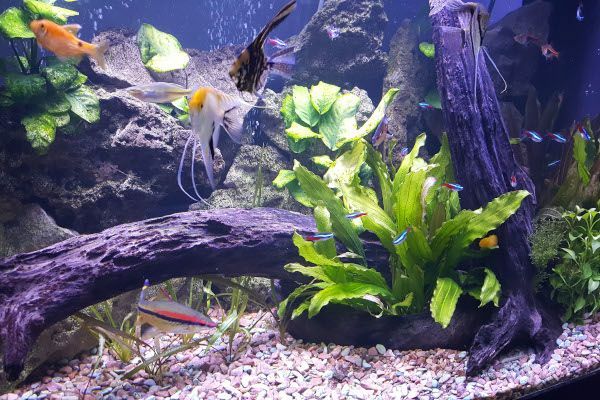 By answering these basic questions you’ll be readier to bring home your new aquarium!